There were top-calibre vessels aplenty at this year’s show, but which really made an impression? There is simply no show on the international circuit that compares to the Monaco Yacht Show (MYS). Sure, it’s not the largest or the most focused by any stretch, but it delivers a range of quality products, designs, technologies and ideas like no other, and it’s a spectator sport for the competition between the world’s best shipyards to present their best wares. 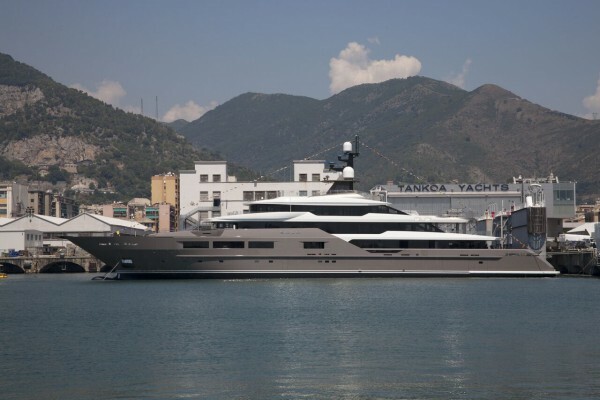 Understandably, it’s the largest boats in the show that perennially draw the most attention, so it was ill-fated that the two largest exhibits, 95.2m Kismet and 90m DAR, were denied entry for the opening period of the show due to choppy seas. 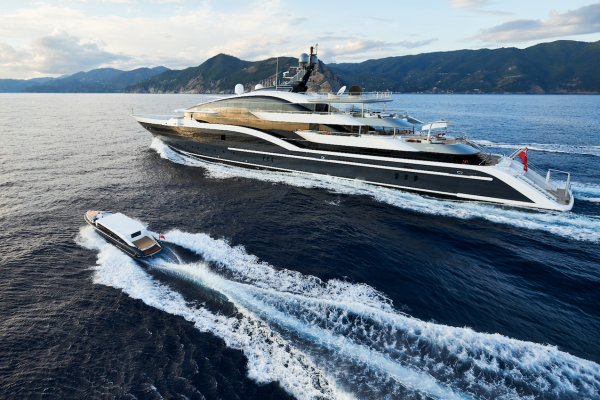 While the former never actually made it into the show – through no fault of the exhibitor – DAR did, and with her imposing, glass-laden exterior profile, the majority in attendance appreciated the impressive craftsmanship by Oceanco and exterior designer, DeBasto Designs. Further along the dock was Elandess, the 74.5m Abeking & Rasmussen build, designed by Harrison Eidsgaard. Compliments of this boat were aplenty – in fact, a number of show attendees said it was the most impressive boat they had ever set foot on. The art collection; communal spaces; lounge underneath the swimming pool waterline; and underwater viewing lounge are but a few of the boat’s highlights. The experienced, hands-on owner, yard and designer have created a truly impeccable product in which every fine detail has been thought through. The 88.5m Illusion Plus, built by Chinese shipyard, Pride Mega Yachts, has some fantastic spaces to offer – you really do get a sense of the sheer volume (3,642gt) in the double height salon and staterooms when you walk through the boat. That, for me, is the main selling point of the yacht as it stands, because the finishing touches are yet to be made. I’m not so sure the quality is up to the standards of her Northern-European counterparts, however, at €35,000 per gross ton, she looks to be priced where she should be. 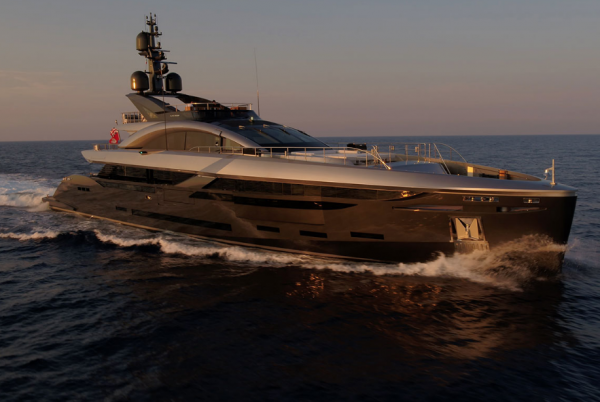 The 72m Solo proved to be a very popular boat in the show and was built on the technical platform of its predecessor – and sistership – 69.3m Suerte, at Tankoa Yachts. Suerte had been a great success upon delivery in 2015 – so popular with one charterer, in fact, that he embarked on a four-month charter, which eventually turned into ownership. Consequently, the seller returned to the yard to build Solo and it has been rumoured that another larger project could eventually be in the pipeline for this owner. My impression is that Tankoa has really put itself on the map with Solo. The dark, chic Francesco Paszkowski interior has some great spaces, quirky artefacts and a homely feel. It was announced during the show that the yard is developing a full-custom division, which could prove to be a lucrative move if Solo is anything to go by. 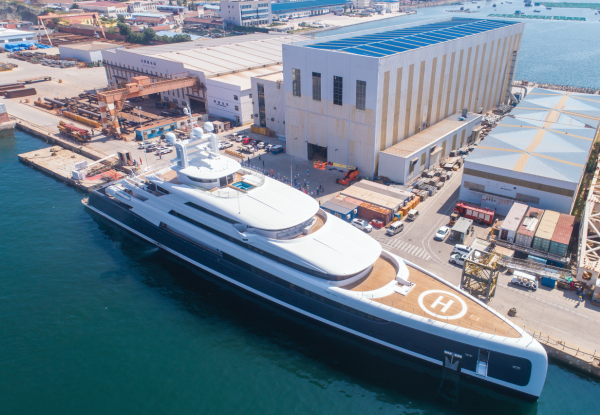 Moving further down the size scale, the now award-winning 51m Heesen, Irisha, proved to be an efficacious showcase of Heesen’s full-custom division. 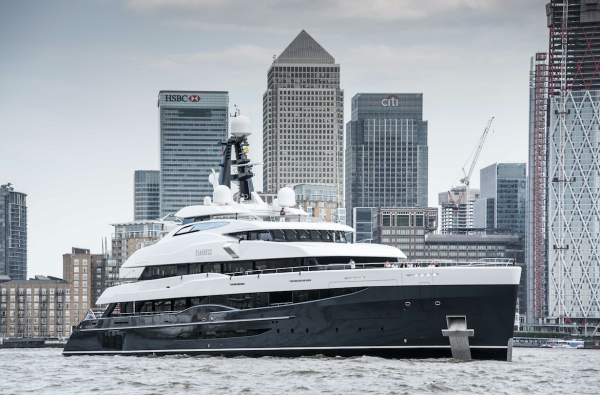 Built on one of the yard’s successful platform hulls, she features a sleek and sporty exterior design by Harrison Eidsgaard, which is characterised by complex, curved glass running from the bridge to the upper deck. Her clean and classy interior, also by Harrison Eidsgaard, puts the finishing touches to a laudable collaboration. Last but not least, I thought the 49m Rossinavi full-custom build, Flying Dagger, drew admirers for its narrow, sporty superstructure, which was designed by Enrico Gobbi of Team For Design. The sprawling sun deck features a metallic and woven metal canopy that opens and closes to provide a sunny or shaded space. 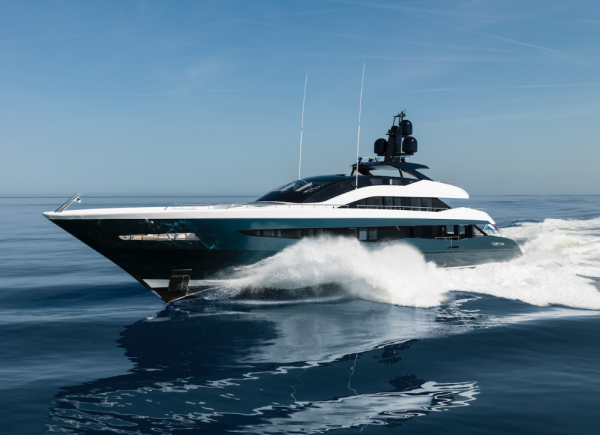 Further performance-driven features include a shallow draft and a water-jet propulsion system, allowing her to reach a top speed of 21 knots. 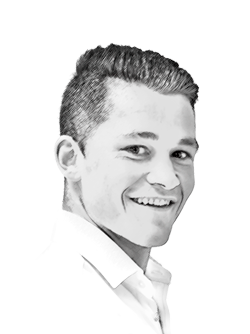 I don’t think it’s fair to call them ‘dark horses’, but it was good to see some mid- to upper-league shipyards turning heads this year and proving that they are in the mix with the best shipyards in the world. While I’ve only focused on the latest new builds in this feature, the quality extended right through the brokerage boat line-up, which showcased some impeccably maintained yachts and some wonderful opportunities for buyers.